The most luxurious of all our properties. 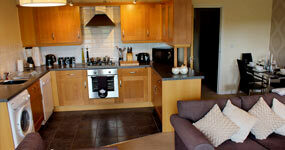 Gorgeous and fully refurbished residence provides the ultimate place to stay for couples and groups. The largest in our collection, this suite accommodates groups of friends who want to experience their own private venue for the night. This suite has everything you need for a romantic night in for two, or a flexible, comfortable and spacious stay for one. With a sleek and contemporary setting, this luxury apartment features all of the latest technology and is close to central Halifax. This modern and elegant apartment is located a short walk away from Halifax train station and has recently been completely refurbished. 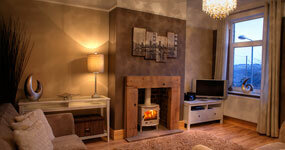 Sleep in style at this beautifully furnished, one bedroom residence split over three floors. 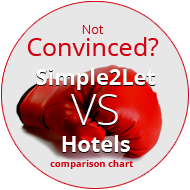 Looking for a hotel in Halifax or Huddersfield? 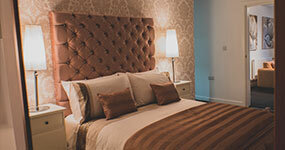 Why not go one step further and try one of our luxury serviced apartments. Located in the heart of West Yorkshire, We’ve been the best kept secret in Halifax and Huddersfield since opening in 2009. 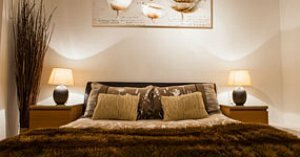 We specialize in providing affordable luxury serviced apartments to business, corporate and leisure travellers looking for short or long-term self-catering accommodation. 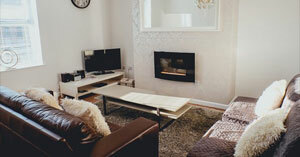 Our modern contemporary serviced apartments provide something for everyone, with considerably more space than a hotel room but at a much lower cost. Our state-of-the-art facilities offer complimentary Wi-Fi, secure parking, ultimate privacy and unrivalled levels of comfort which allow for the perfect “home from home” experience. 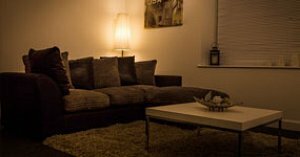 We have luxury serviced apartments in the centre of Huddersfield and Halifax, perfectly located to Leeds, Bradford, Wakefield and Manchester. The accommodation was excellent. 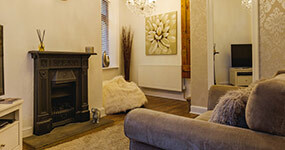 The standard of furnishing was superb and the range of equipment extremely comprehensive. The house was beautiful and cosy. We were also really grateful for the complementary welcome pack (milk, biscuits, bread, butter, juice etc) which was well received after a long journey. The location has plenty of places to visit, some great pubs and an award-winning farm shop that does great food! Would thoroughly recommend to anyone thinking of staying.